We’re ending off our monster mania with a sweet treat. 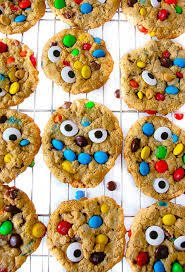 Your kid will get to decorate their own monster cookie, and eat it! With frosting and toppings and colour galore, they’ll definitely go crazy making the perfect monstrous snack.